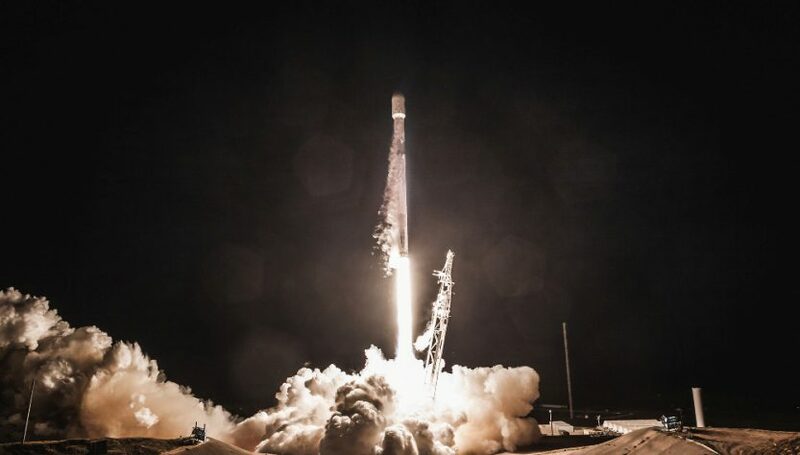 SpaceX’s efforts to build a satellite broadband service took on new meaning this month when the company requested Federal Communication Commission (FCC) permission to operate up to one million ground terminals. Launch of the first of nearly 1600 SpaceX Starlink production satellites is expected to begin later this year, taking a couple of years to complete. Unlike OneWeb, Telesat, and LeoSat, SpaceX has been much less transparent on a timetable and plans to bring up its Starlink Low Earth Orbit (LEO) broadband constellation, leaving observers to try to glean details from FCC filings, general comments from SpaceX officials, and sifting through Elon Musk’s Twitter feed. The latest FCC filing asks “SpaceX Services Inc.,” a “sister company” to SpaceX, be granted a blanked license authorizing operations of up to 1,000,000 earth stations for end-users. The terminals will use a flat-panel phased array antenna about 1 meter wide, according to sources, making them relatively easy to ship and install. The latest iteration of SpaceX’s Starlink first stage configuration is nearly 1,600 satellites operating in Ku-band. Initial discussions and filings described satellites operating in both Ku- and Ka-band and in higher orbit with gigabit speeds delivered to a $200-300 ground terminal, but the company has simplified the initial design to get satellites built and launched more quickly. Future iterations of Starlink will add Ka-band while expansions of the constellation would add more radio frequencies and up to 4,400 more satellites. Exactly when satellites will be launched into orbit is speculative, but a comparison between SpaceX’s known list of customers and dates they would like to launch and the actual number of launches SpaceX plans to conduct this year suggests at least 4 to 6 Falcon 9 missions dedicated to putting up hardware. Where SpaceX is building satellites is unknown as is if the company has setup a dedicated production line for building them in large numbers. OneWeb is expected to launch its first satellites later this month. Six satellites are scheduled to go up on the afternoon of February 22, with larger deployments of over 30 satellites per launch occurring later this year as it works to build a 650 satellite constellation to deliver consumer broadband services of 50 Mbps with low-latency. Customer demonstrations are expected to take place in 2020 with full 24×7 global coverage available in 2021.